March 24, 2016 – The Smithsonian’s National Air and Space Museum 2016 Trophy will be awarded to Capt. James A. Lovell for Lifetime Achievement. In the category of Current Achievement, the Trophy will be awarded to NASA’s New Horizons Mission Team. The recipients will receive their awards April 5 at a black-tie dinner in Washington, D.C. Established in 1985, the award recognizes outstanding achievements in the fields of aerospace science and technology and their history. As in past years, Trophy winners receive a miniature version of “The Web of Space,” a sculpture by artist John Safer. Lovell was as a naval officer, aviator and a pioneer in the space program. The Lifetime Achievement Trophy recognizes the lasting impact his achievements have had on the history of space exploration. During his career, Lovell accumulated more than 7,000 flight hours, including 4,500 in jet aircraft, 715 in space and 107 carrier landings, holding the record for time in space until surpassed by the Skylab flights. He participated in four historic NASA missions: Gemini VII, Gemini XII, Apollo 8 and Apollo 13. Lovell was one of the first men to leave Earth’s gravitational pull, the first man to journey twice to the moon and was indispensable to the safe landing of Apollo 13. As evident from his career, Lovell continually brought a high level of expertise, passion and leadership to his work. The Current Achievement winner, the team responsible for NASA’s New Horizons spacecraft, accomplished the first direct investigation of Kuiper Belt objects at the outer margins of the solar system. New Horizons produced astonishing new images and scientific data before, during and after the flyby July 14, 2015, including many new discoveries about the Pluto-Charon system. For example, the wide diversity and young ages of some terrains observed on the dwarf planets Pluto and Charon by the instruments aboard the New Horizons spacecraft have caused scientists to rethink how planets form and evolve. 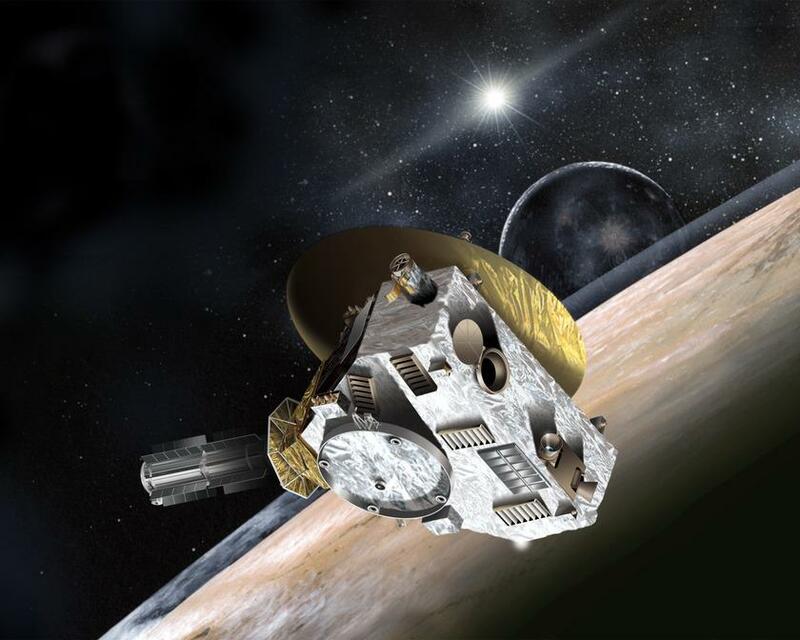 The achievements of the mission are a direct result of the talent, experience and dedication of Alan Stern, the principal investigator, and the entire New Horizons team, which began working on the project more than 15 years ago. The mission will continue to give fundamental insights into the origins and evolution of the solar system. More information about the National Air and Space Museum Trophy and a complete list of past winners are available at Trophy. The National Air and Space Museum Trophy event is made possible through the support of the Hillside Foundation, BAE Systems Inc., Atlas Air Worldwide, the Claude Moore Charitable Foundation, L-3 and Pratt & Whitney.